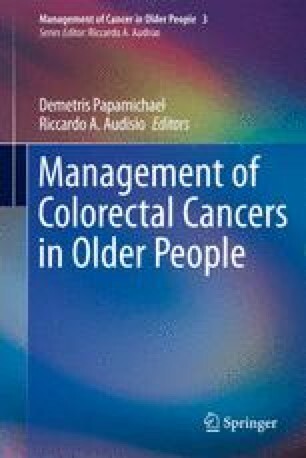 Colorectal cancer often presents as an emergency with signs of obstruction, poor general conditions [1, 2]. This is associated with high mortality, increased complication rate , and a poor oncologic result . This is particularly relevant to older patients. Every effort should be put in place to avoid the emergency setting. To achieve this, screening programs have been put in place. NHS Bowel Cancer Screening Programme. www.cancerscreening.nhs.uk/bowel/. Last accessed 24 November 2012. Information from and about the screening programme http://www.cancerscreening.nhs.uk/bowel/programme-information.html. Last accessed 24 November 2012.